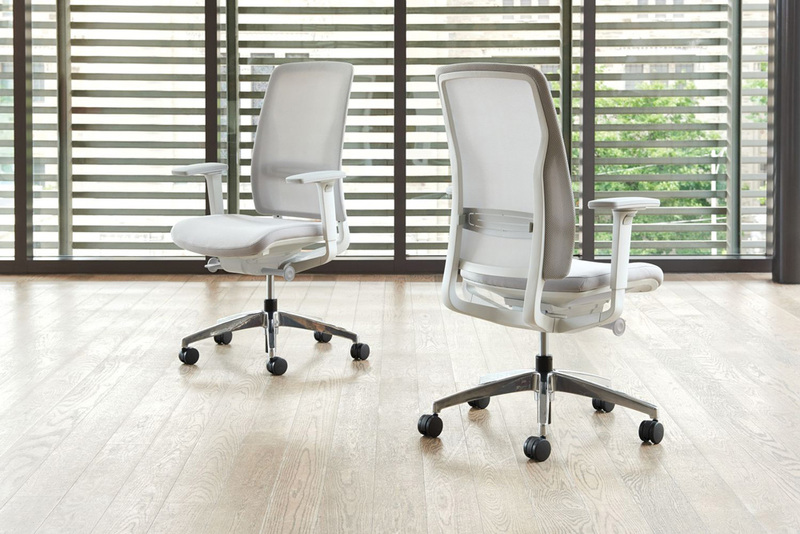 Around is a new task chair with a wrapped back design executed in two styles – upholstered with a hex-back insert and mesh. 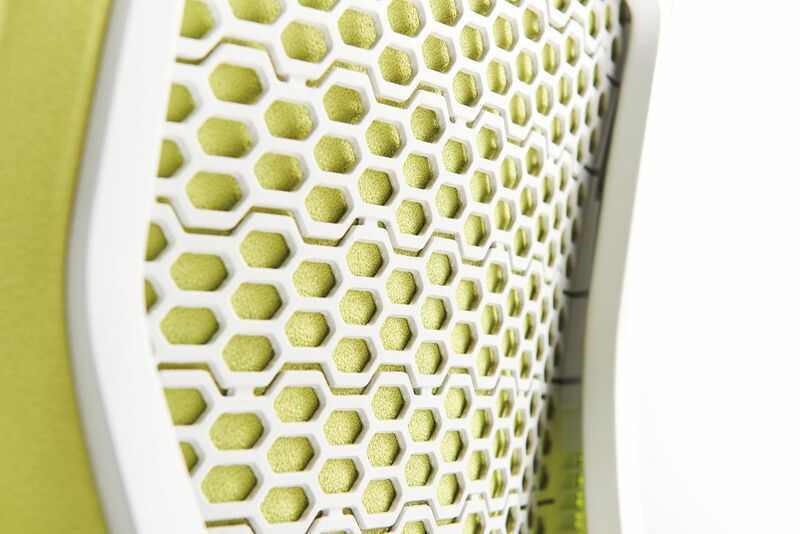 Around was inspired by the architecture of modern stadiums—open structures sheathed in a thin, organic-looking skin that creates an open volume or space. 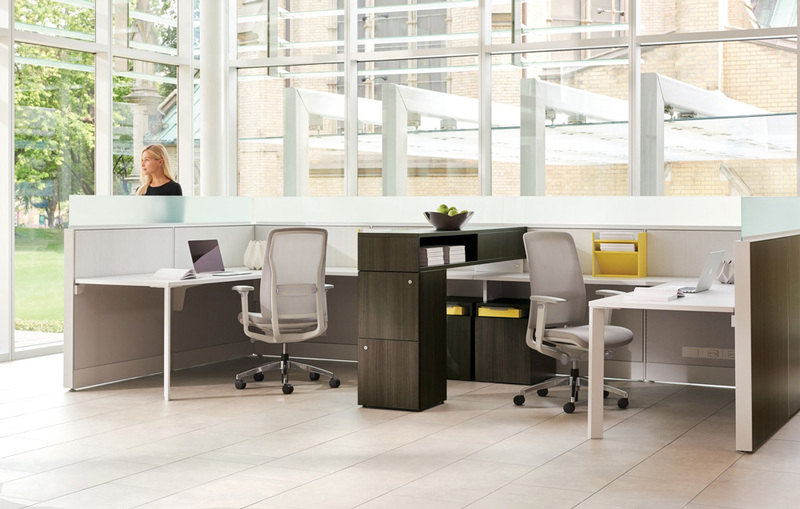 This concept translates into the Around back design—one uniform structure wrapped in either upholstery or mesh, each offering a unique visual and tactile experience. Around is fully featured, yet clever, hidden innovations facilitate a simple chair design with a light, minimalist form. Designed by Justus Kolberg, Around is remarkably comfortable, versatile and easy to use. Around is available fully assembled or knocked-down in only six components. Arms available as 2D arms that feature width and height adjustment or 4D arms adjust in width, depth, height and pivot. Optional seat slider allows for depth adjustment of 3-7/8 inches. 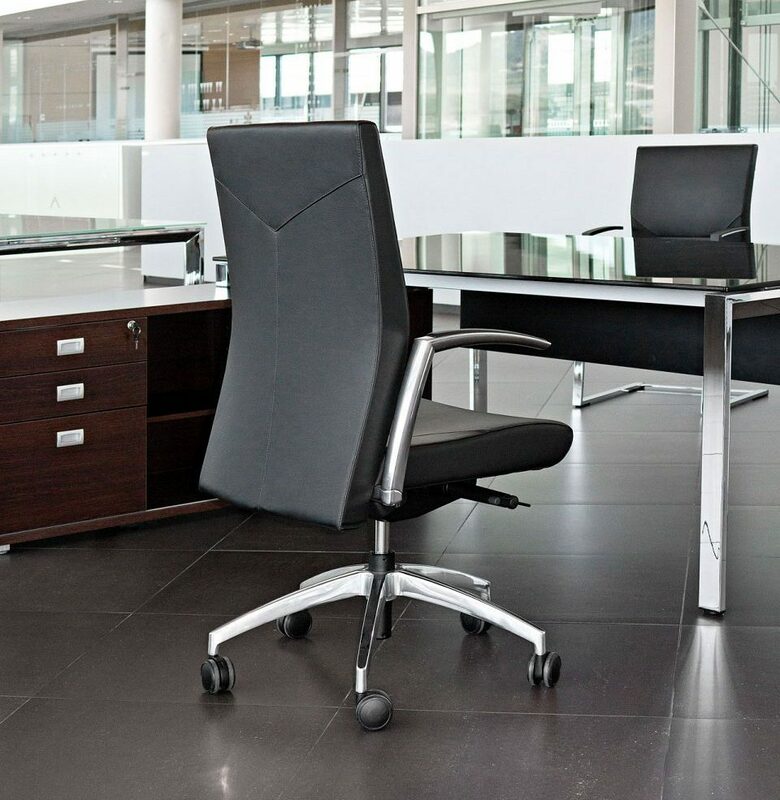 Choice of an Ebony frame and base or Gris frame with polished aluminium base. 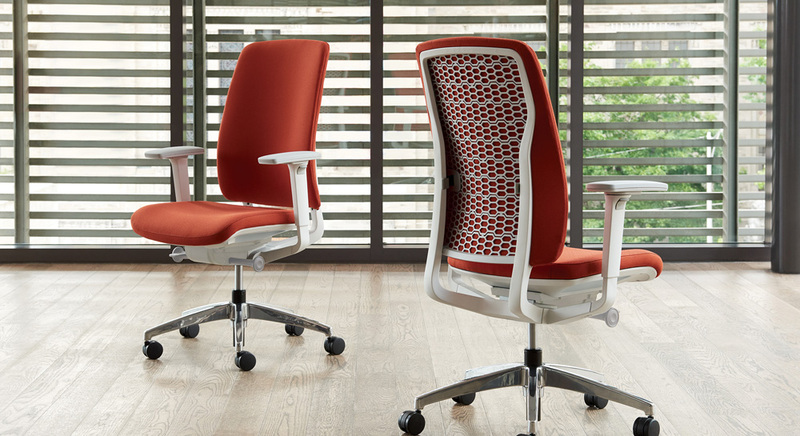 Back available in mesh, fully upholstered, or upholstered with hex-membrane. 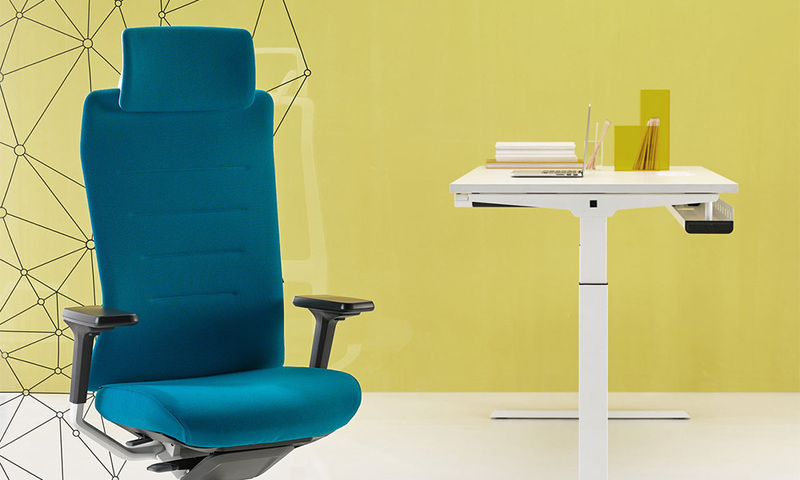 The hex-back insert of the upholstered chair flexes with the body to provide comfort and support. Back tilt locks in the upright position or moves fluidly through four defined angles, promoting improved posture and movement. 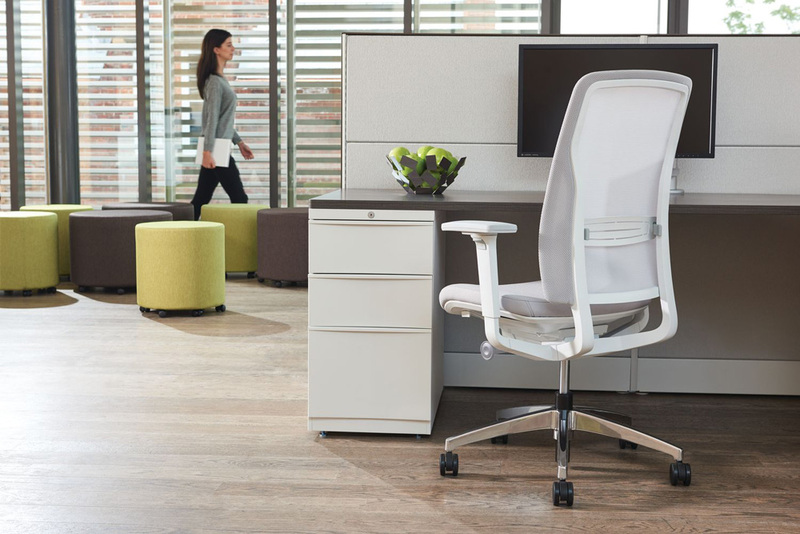 Adjustable lumbar elements are cleverly integrated into the design, each side independently controlled for asymmetrical positioning. 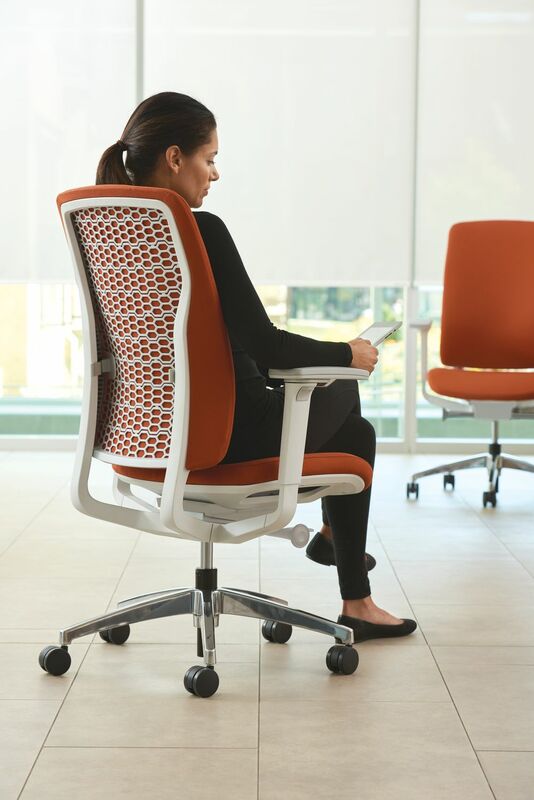 The weight-balancing synchro-tilt mechanism automatically adjusts back tension to suit each individual, while a tension comfort control allows users to fine-tune with one simple rotation. 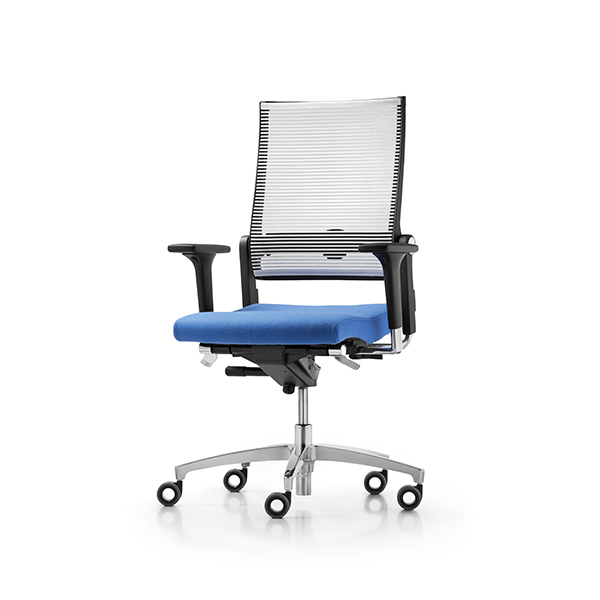 An integrated FlexAround Seat Pan offers an advanced degree of comfort, support and ventilation.